Here at BenzTec, we believe owning and running a Mercedes should not have to cost you a fortune in servicing, maintenance and running costs. Whilst we cant do anything about Tax, Insurance and fuel prices, we can help you keep your pride and joy on the road and provide you with great value for money servicing, repair and maintenance costs. With our current price structure Mercedes Benz owners can now expect to save a massive 65% on main dealer prices and a further 25% on Midlands based specialists. When servicing or repairing your Mercedes we will only fit original parts and back up all our work with a 12 month guarantee and 2 year parts warranty. Outside the main dealer network, we are the only independent specialist openly advertising this warranty,simply because we only use genuine parts. 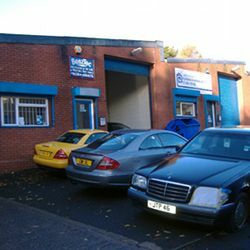 All our services are carried out to Mercedes Benz specifications in a well equipped modern workshop. We also offer a while you wait service, where you can relax in our comfortable waiting room with Internet access or take a stroll around the famous Merry Hill shopping complex, which is situated only five minutes from our premises. The proprietor of the company, Rob Fryer LLB (Hons), can be accredited as one of the most experienced Mercedes Benz trained technicians in the Midlands with over 30 years experience working on Mercedes Benz passenger cars. Rob started his career as an apprentice technician in 1978 in Durban, South Africa, for Mercedes Benz (Natal). 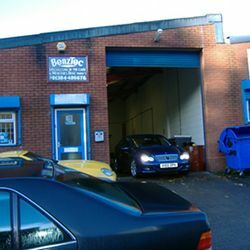 On relocating back to the UK, Rob completed his apprenticeship at Carols of Wolverhampton. He also spent time in Saudi Arabia for Mercedes Benz as a master technician and also as a senior service adviser and Technician for Birmingham's main dealer.